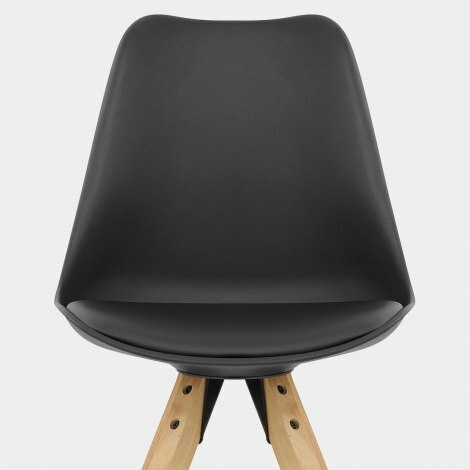 The Aero Dining Chair Black is a contemporary design that will stand the test of time with its cool minimalist appeal. The Aero has fresh and funky style that will make a fashionable addition to a range of interior settings from dining rooms to dressing tables. 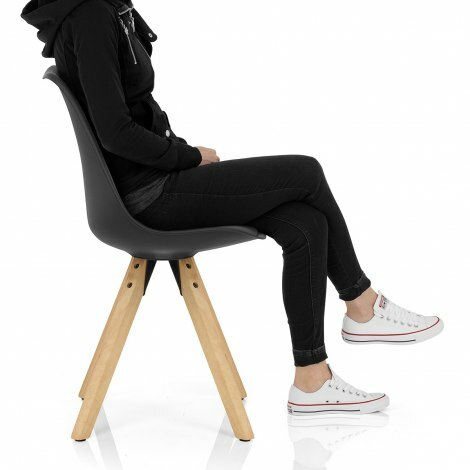 Shaped from black matte resin, the ergonomic seat has a feature faux leather seat pad and tall backrest for additional comfort and sumptuous style. Creating clean Scandinavian appeal, the four solid wooden legs have a tapered pyramid design, complete with a delightful oak finish. Strong and sturdy, the frame is fitted with protective pads on the underside to make sure your floors are preserved.